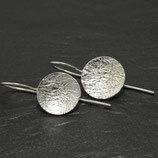 From the "Erosion Collection", hand forged discs of recycled 925 silver hanging from large loop earwires. Each disc is has been reticulated which produces a unique surface structure, is approximately 1.5cm in diameter. 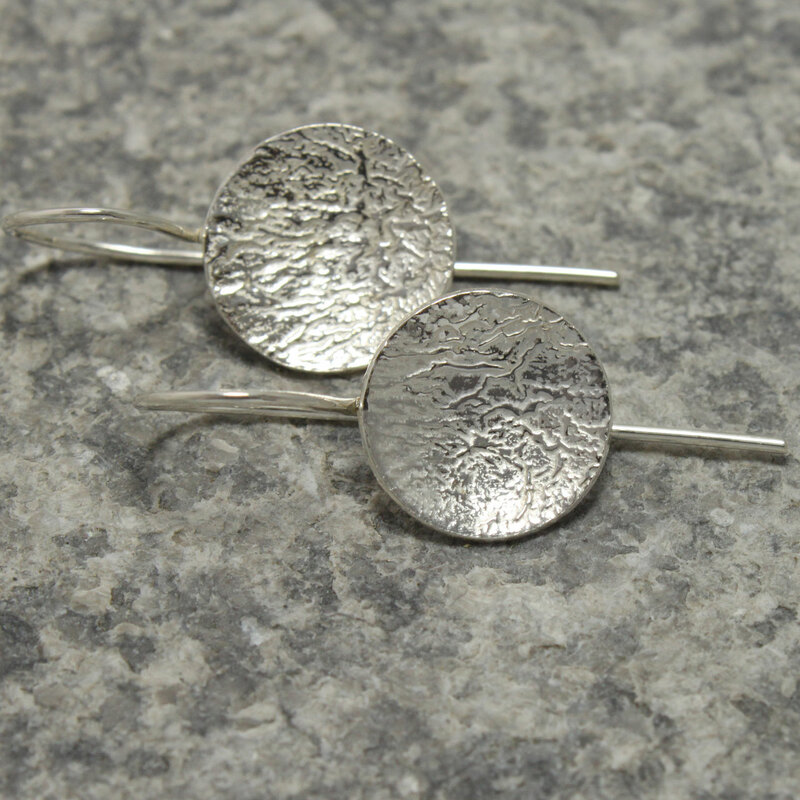 The earrings are 3cm in length and carry my personal makers stamp. The earhoops arrive to your door in my personalised gift packaging.